This blog will demonstrate how to remove the non numeric characters from the cell in Microsoft Excel 2016. Assume that you have a worksheet where a cells from the range “A1:D30” contains the alpha-numeric characters like ABHGFD458909LOGH and you have a task to retain only the numeric characters in the cell and remove the non-numeric characters. How can you remove the non-numeric characters from a cell in Microsoft Excel ? One of the options we have is to use the the VBA code to remove the non-numeric characters. 1. Open the Microsoft Visual Basic for Application Window using the shortcut key “ALT + F11”. 2. 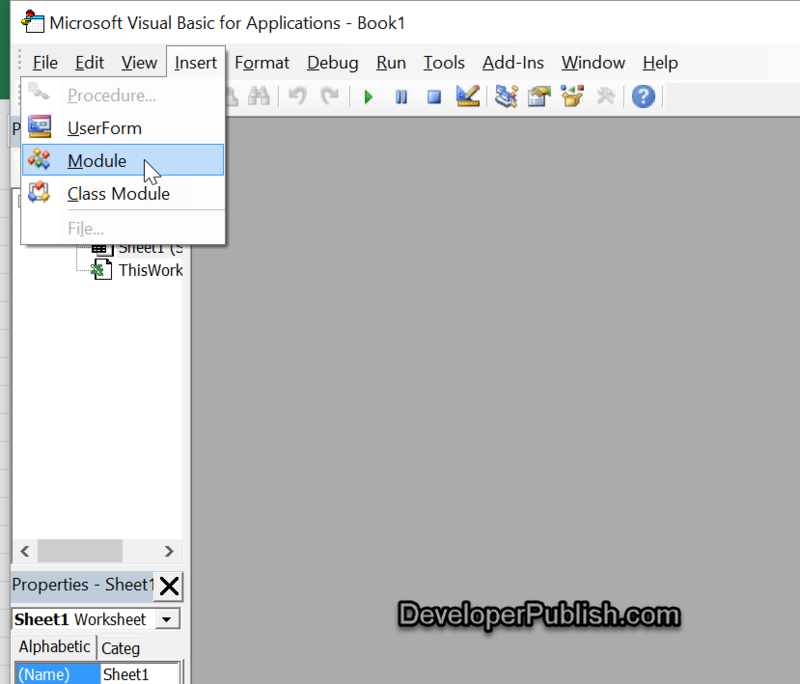 In the Microsoft Visual Basic for Application Window , select the menu Insert –> Module. 3. Paste the following code in the Module window and press F5 key to run it.